The call came from the Far South Wilderness Lodge, a tourist lodge and backpackers just outside Dover, on the beautiful D’Entrecasteaux Channel. 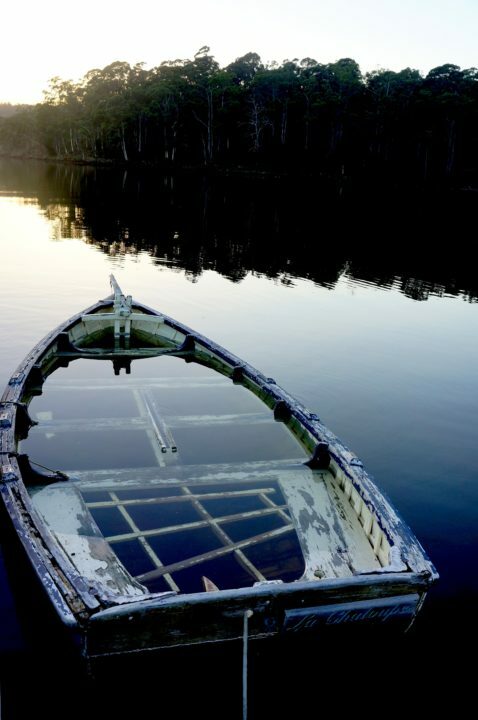 There was an old sunken boat at the lodge’s dock and the owners were concerned that it might be a danger to children playing at the water’s edge. They could not use it or restore it, but perhaps the Dover Community Workshop (DCW) might be interested? The workshop, modelled on the successful Men’s Sheds springing up all over Australia, is proud to include local Dover women on their team as well. 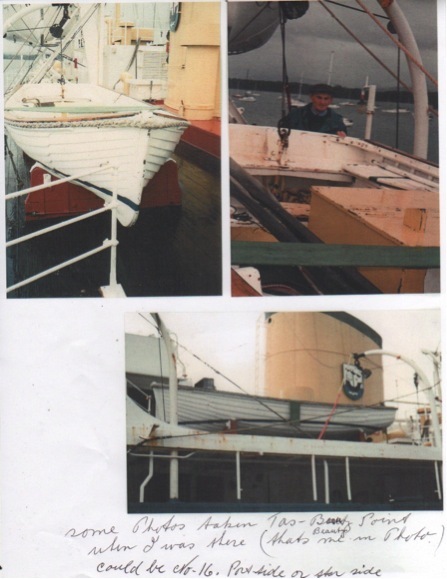 The boat was duly accepted and moved to the DCW coordinator’s waterside property, where it was hauled out and inspected. It was not an encouraging sight. 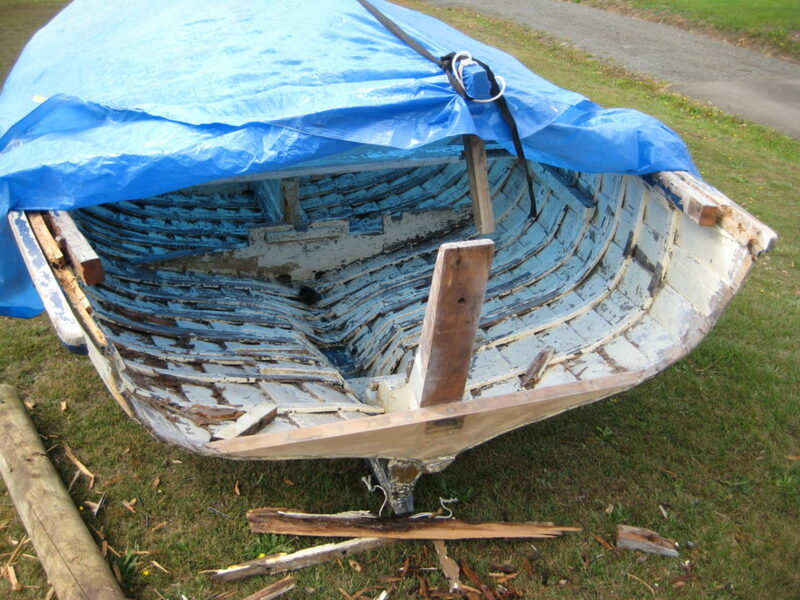 Broken ribs, rotten gunwales and knees and a suspect keel pointed to a long restoration job. Only one plank of the transom was free of rot and that bore the mysterious number as well as a plank bearing the name La Chaloupe. The crew got to work, as time allowed, cutting out rot and replacing the now rare and expensive King Billy pine with macrocarpa. At one point, while rolling the boat over, it broke free and crashed to the ground. There was a collective sigh of relief as the keel proved sound and strong enough to hold the planking in place, even with a bit of rough and tumble. The work proceeded steadily and the little boat was ready for sea trials in November 2014, with an eye to entering it in the MyState Australian Wooden Boat Festival in February 2015. Local enquiries found only three previous owners in Dover, but there the trail went cold – who built her, and when? 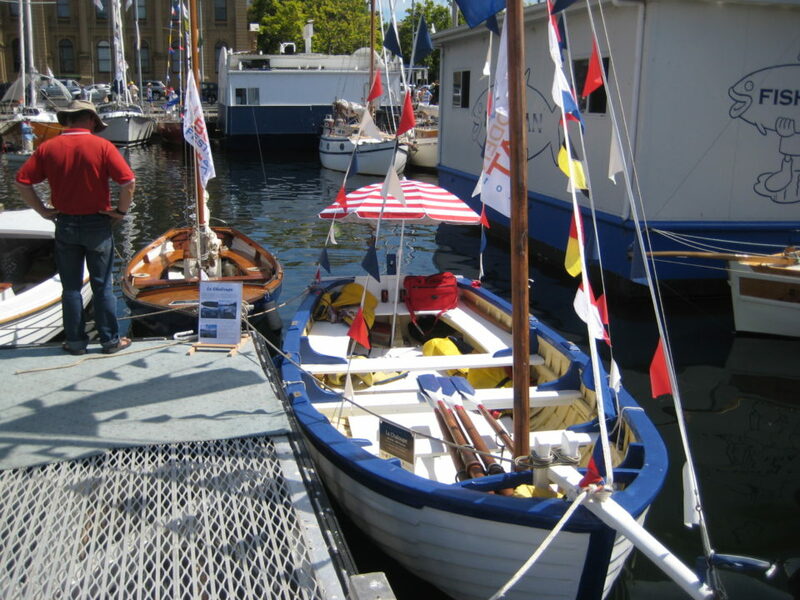 Freshly painted and smartly turned out, La Chaloupe took her berth at the wooden boat festival. A boat owner moored nearby remarked that the design looked familiar: he had seen it somewhere before. A quick call to the Wooden Boat Shop in Queenscliff, Victoria made a connection with 84 year-old Master Shipwright Jack Beazley. 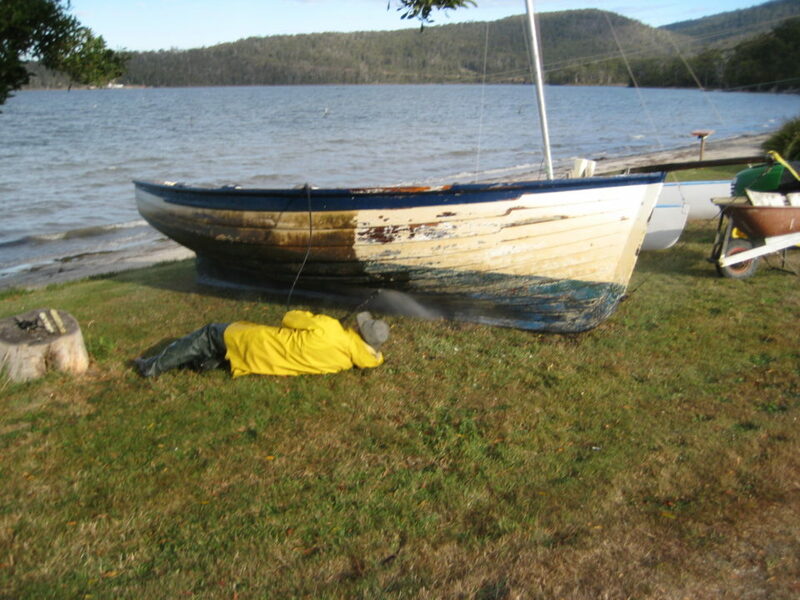 Given a description, he readily identified the boat. He had built it as No.16 of twenty motor launches for the Port Phillip Port Authority in the years after WW2. The 18’ boat, fitted with a Simplex engine, carried the local pilot from the mother ship, the Wyuna, out to meet incoming vessels in the treacherous rip at the entrance to the bay. Perhaps the name should have given it away (it means ‘launch’ or ‘lifeboat’ in French), but we might still be wondering if it hadn’t been for a chance encounter at the MyState Australian Wooden Boat Festival. Many thanks to Ron Wells of the Dover Community Workshop for text and pictures and to Jack Beazley for historical photos. Learn more about the Dover Community Workshop: HERE and more about the shipwrights of the Wooden Boat Shop in Queenscliff, Victoria HERE.